Come out and join us for fire prevention day on Oct. 8th from 11am till 3pm. 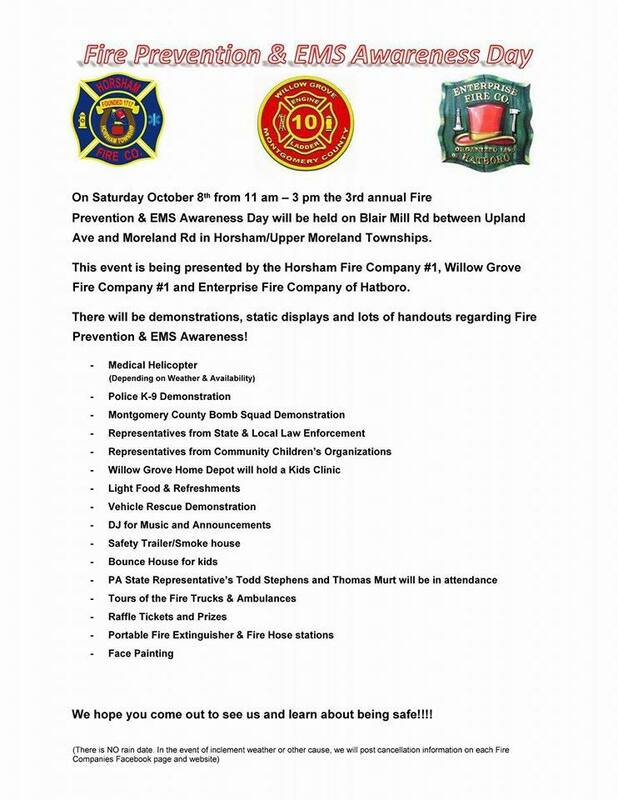 This year we are doing a joint fire prevention with both Horsham Fire Company (15) and Willow Grove Fire Company (10). The event will take place on Blair Mill Road in front of the village mall. It will include demonstrations, games, giveaways, music and more. Come on out and have some fun, all while learning about fire prevention.